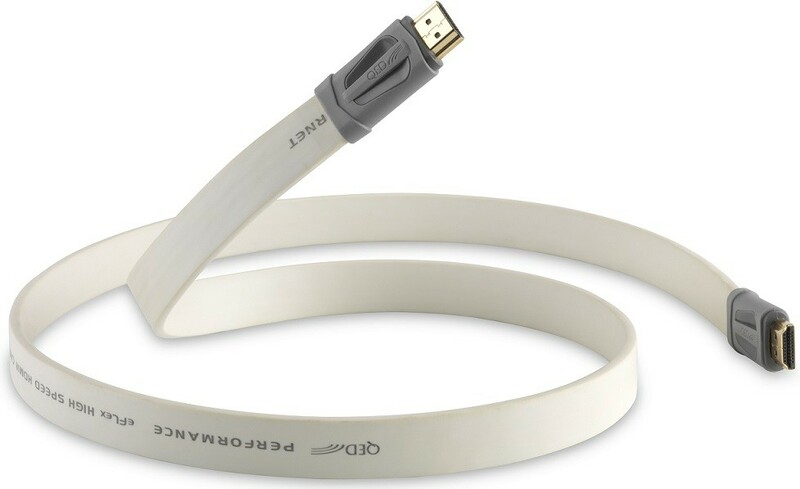 The QED Performance eFlex HDMI Cable is a new flat and flexible verion of the acclaimed QED Performance HDMI, designed to offer excellent video and audio performance, while being more compact and discreet, and ideal for confined spaces between the TV and wall. Build quality and design are assured, thanks to QED's lifetime warranty. 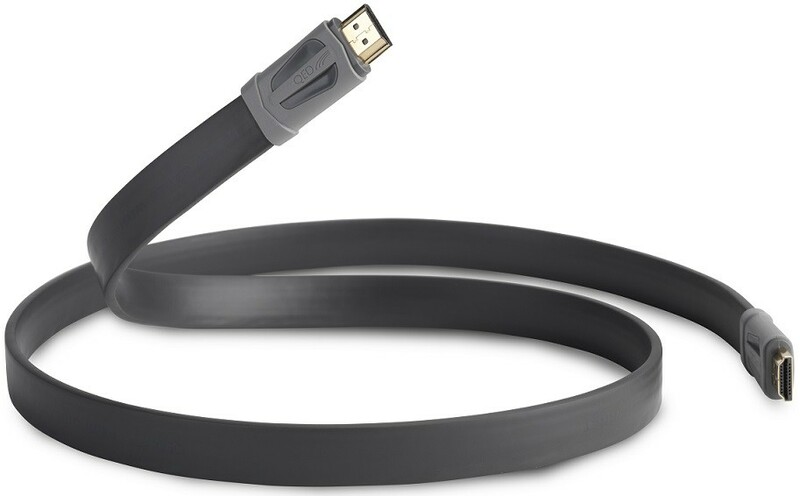 The Performance e-FLEX HDMI cable features all of the qualities of Performance HDMI but with a specially designed 'e-FLEX cordage' to allow the cable to fit in tight gaps between the TV and wall. Because the cable benefits from the application of design secrets uncovered by our state-of the-art HDMI test suite, it delivers very low jitter for accurate timing of picture and audio data. This cable supports Deep Colour, 3D and 4K meeting the requirements of the latest HDMI specification. 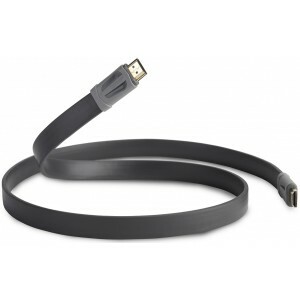 Independently tested to 15.9Gb/s to deliver High Speed w/Ethernet and HDMI 2.0 specification. Supports Full HD, 3D, 4K and Deep Colour.